This elegant, character townhouse has formerly been stables for the St James church next door and an early, turn of the century Sunday school. A superb redevelopment in the early 2000s transformed the complex into stylish, modern homes which are low-maintenance, warm, sunny and solidly built to last. There are three double bedrooms as well as two bathrooms - perfect for couples or a group-share situation. The modern galley kitchen leads through to open plan living, with a sunny, west-facing balcony via French doors to enjoy the best of the evening sun. A carport as well as a very large, secure storage unit keeps all your tools and toys safe. 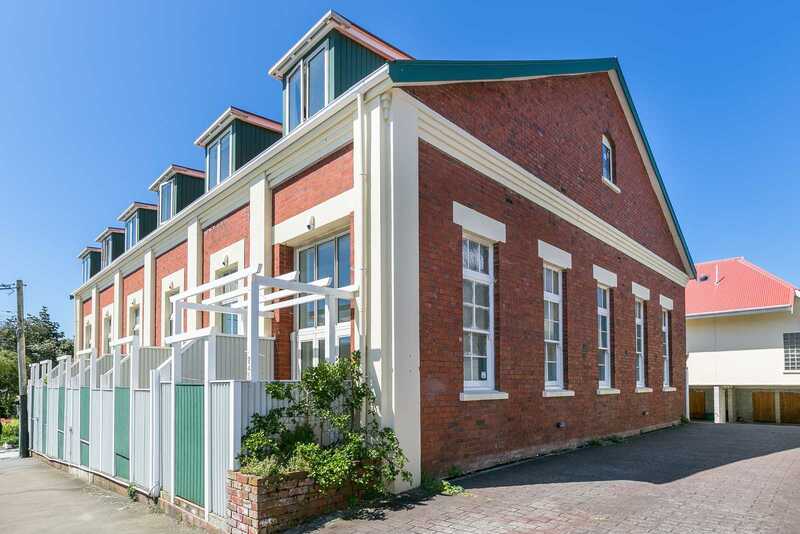 Located for an easy walk to the hospital, Massey University, the bustling Newtown shops, library and schools and on the regular bus route to the CBD. You'll be all set up with the fridge/freezer, washing machine, dryer and microwave included and possession can be immediate. Owner bought this in 2003 when it was first redeveloped - and the time is now right to hand on to another happy owner. Body Corp fees $620/month.